Ok this might be weird that I will have one post dedicated to a shopping center in Kuala Lumpur. Believe me, I’m not a great fun of those but I had to make an exception. I came across a mall with cinema, we even have those in Poznan, but not with a theme park! Berjaya Times Square Theme Park is Malaysia’s largest interior theme park measuring 133000 square feet. Before we got to the mall we thought the roller coaster will be just there, in the middle of the shopping center just behind the entrance. This turned out not to be true. When we entered there was no sign of a roller coaster or even a ride. Confused, we started to wander around looking for directions. On the shopping mall map we saw that the theme park was located on the 7th floor. Firstly we took the escalators. And believe me it’s not the best option. Crowded stairs are located far away from each other to make people walk between the shops before they can get to the next level. So from 2 nd floor we decided to take a lift. We qued. We qued for what seemed to be ages and was probably 3 minutes. Behind some friends who at the last moment decided not to take the lift and before we could blink the elevator was gone. Amazed we waited another century for the next one. When we got to 7th floor we found out the entrance is on the 5th. Another lift. The ticket is MR48 for an adult. Another “be aware”! To get on the roller coaster you need to leave your things in a locker. The be able to do it you need tokens. To get tokens you need to buy a card and top it up. You can’t pay cash to get tokens. So the card and top-up was MR10 – MR5 deposit and MR2 for a locker the balance is returned. We didn’t know that and bought most expensive frutella like candies. There a couple more rides and a floor dedicated to small kids so if you are travelling with children don’t hesitate! Just finished watching. Amazing scenes, shots, choreography. Even liked Colin Farrell. Brilliant Ralph Finnes and Brendan Gleeson. Watching this movie made me want to go to Bruges which is in West Flanders, Belgium. The historic city centre is a World Heritage Site of UNESCO. 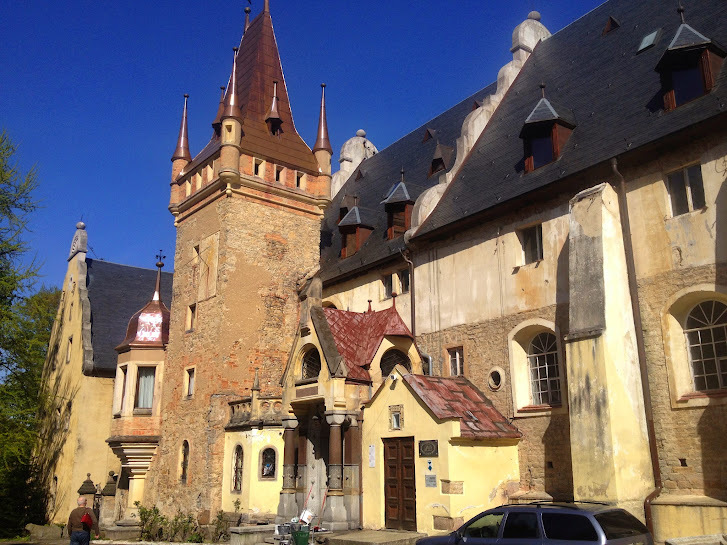 And I do agree with Harry it does look like out of a fairy tale. Even the snow flakes looked magical in the movie. I always wanted to see Venice out of gondola but it is very, very expensive. A boat trip in Bruges so I read costs only 8 Euro. And let us not forget Belgium is famous for its chocolate. I read that the Chocolatier Van Oost on Wollestraat is the must see. There is also a Choco-Story Museum. It describes chocolate’s transition from cocoa into chocolate. Its low cost (7 Euro) and tasty exhibits/samples make it worth the time. Our two week tour of Mexico was full of sun and attractions. We started from Mexico City, busy metropolis, and then through ancient ruins we arrived on a sunny beach for surfers in Puerto Escondido. 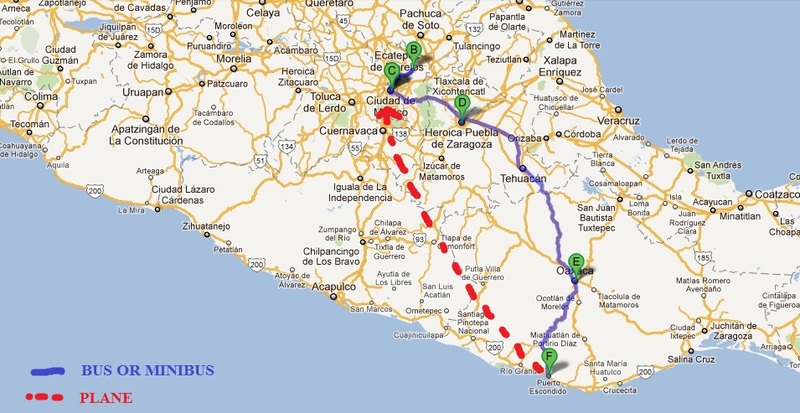 We mainly travelled by bus and then from Oaxaca to Puerto Escondido by minibus which is a road not to be forgotten. If you like adrenaline and roller coasters you might love it. Just kidding! No one could love this ride as it’s 7 hours journey while every second your vestibular system is put to hard work and when you can’t establish even one still point to concentrate on. Anyway, more about it later. I pre-booked first two nights in hostel in Mexico City. It was a flat in an apartment house in a walking distance to Zocalo. Very nice staff and bright, cozy living area. Then small kitchen, curious showers and a hole in the ceiling in our room. We spent there little time and mainly drinking tequila. Mexico City is located in a valley what adds to its picturesqueness. 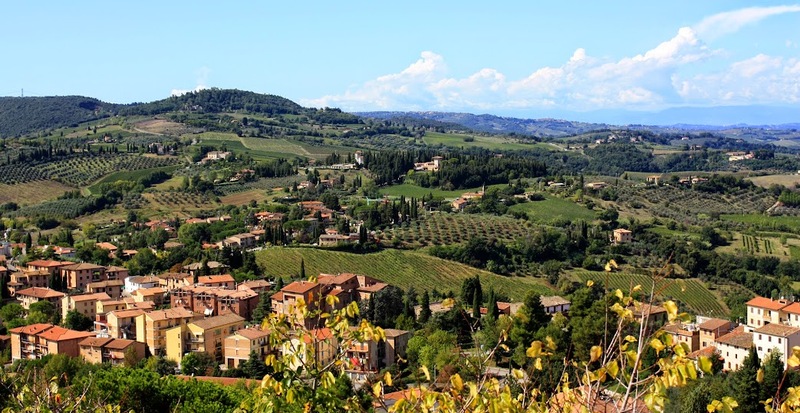 More and more houses are being built on the slopes of the valley as the city expands. The city was originally built on an island of lake Texcoco by the Aztecs as Tenochtitlan, which was almost completely destroyed in the 1521 and rebuilt in accordance with the Spanish standards. According to the legend the god indicated the site where Aztecs were to build their home with a sign – an eagle perched on a cactus with a snake in its beak. 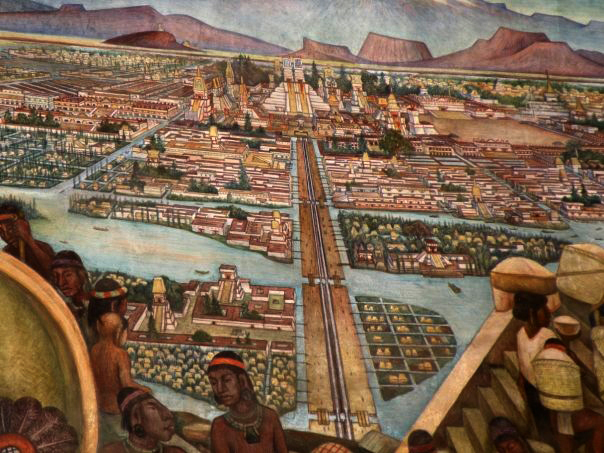 Scholars estimate that between 200,000 and 250,000 people lived in Tenochtitlan in 1500, more than four times the population of London at that time. During and after the Spanish conquest Cortés rased the city and rebuilt it to bury the memory of Aztec empire. Spanish built Catholic churches over the old Aztec temples and claimed the imperial palaces for themselves. So now almost every monument you visit had a double history. The city developed and now you can’t see any traces of the lake anymore. Now some of the things I found interesting not to repeat all the information you can easily find elsewhere. 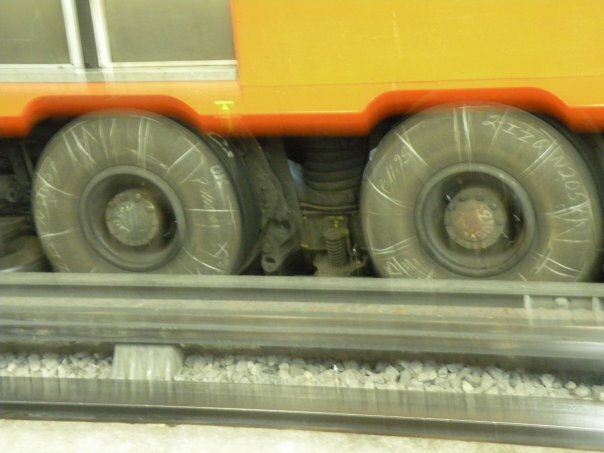 The underground is very useful but I found the wheels of the train quite astonishing have a look on the right. 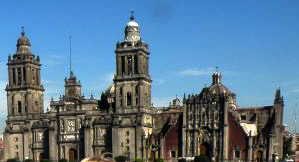 Next to Zocalo The Metropolitan Cathedral of the Assumption of Mary of Mexico City is located. It is the largest cathedral in Americas. I found there a couple of curious things. 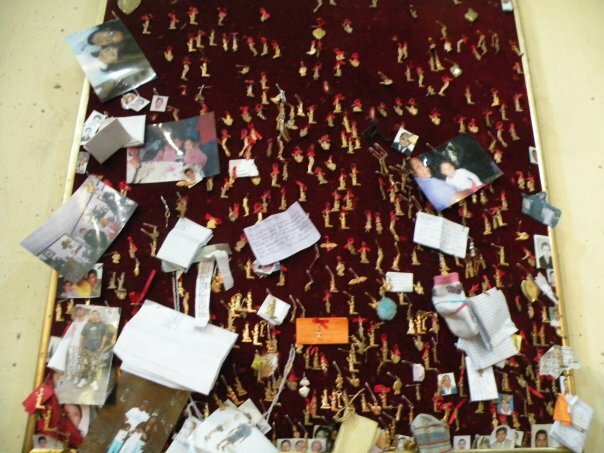 First a board with a lot of small golden praying figures attached to it. 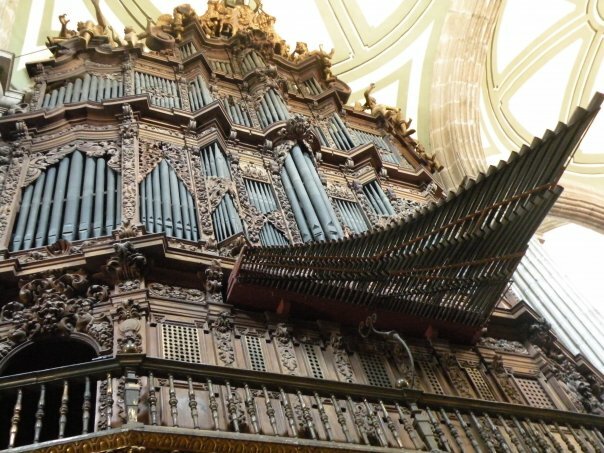 Another – large XVIII century organs with some pipes sticking out at a 90 degree angle. As I found out it’s called En Chamade. It’s a term describing pipes placed horizontally instead of vertically, and often projecting from the front of the organ case. This method is generally used for powerful reeds, like Trompette en Chamade, whose tone becomes more intense and penetrating through such placement. (Chamade: a military signal intended to be heard in the enemy camp). 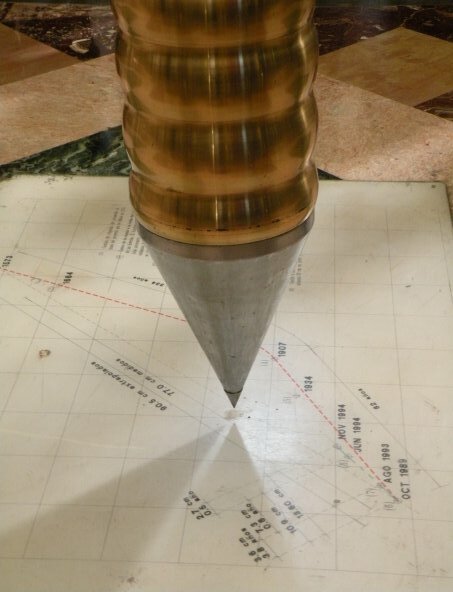 Pendulum – for years the cathedral has been sinking into the soft soil of what was once a lake. Extensive underground engineering efforts have largely stabilized the building. The pendulum suspended from the ceiling tracks the tilt, marking a record on the floor. A bronze statue of Pope John Paul II with keys melted at its sides. This is because hundreds of Mexicans contributed to the material for making the statue by donating keys. 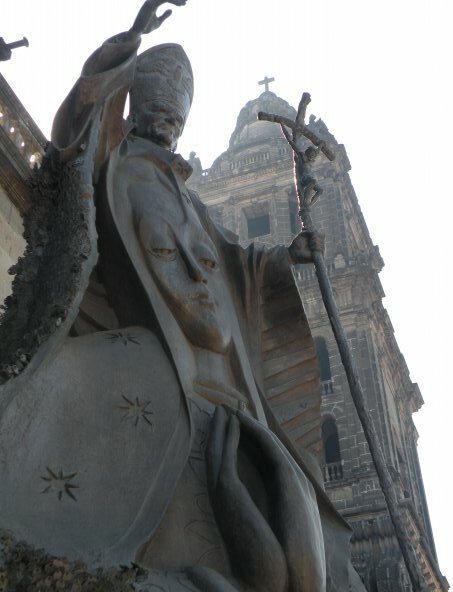 It was unveiled by the Archbishop of Mexico City, Cardinal Norberto Rivera Carrera on All Saints Day in 2006. It is said that our Pope loved Mexico. The Torre Latino Americana naturally. It has 45 stories (183m). There is a legend that on the day of the 1957 earthquake, Dr. Leonardo Zeevaert was inspecting something or other on the roof of the tower, and that he got to see and feel how his tower withstood the quake while the surrounding buildings collapsed. The truth is that during the September, 1985 earthquake, which took place at 7:19, Adolfo Zeevaert was already inside his office on the 25th floor. From that vantage point he was able to witness the destruction taking place while several buildings collapsed and the dust cloud that followed, all the while feeling the movement inside the tower. 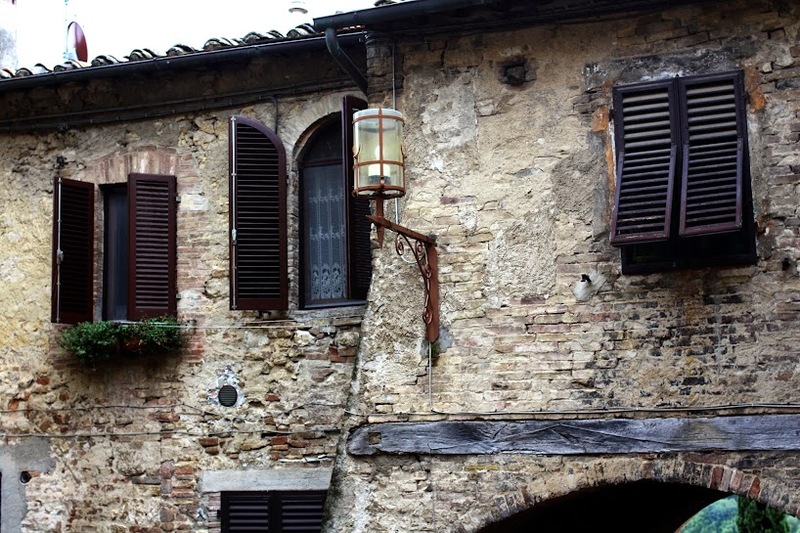 It could arguably be said that it was the first time that a builder and designer of a tall building witnessed first hand its behaviour during a massive earthquake. I guess this is enough for one post, there is more about Mexico City I would like to write about and so instead one there will be two posts.